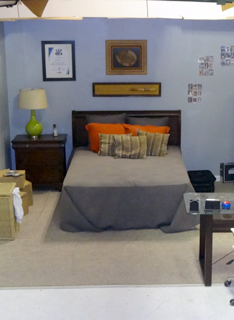 CML Studios is a full production facility founded in 2006 by entrepreneur and producer Carlos M. Leon. Originally located in the city of North Hollywood, it is currently located in Glendale, CA just a few miles away from Hollywood. The space includes all the necessary areas and amenities for the production of commercials, music videos, movies, industrials, documentaries, corporate videos, events and more. 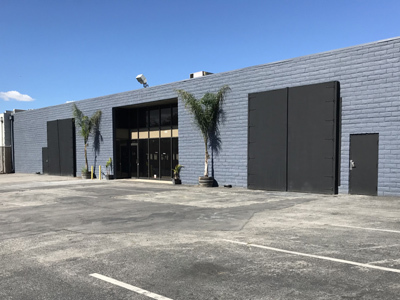 This includes a 55' Green Screen, 50' White Cyc, black void, on-site equipment, green room, makeup/wardrobe areas, dedicated parking, and production/office space. We also offer full production services from casting to post-production and promotions. Our space has been used for everything from low-budget student thesis films, television pilots, reality television segments, feature films, national commercials, product launch events and more. Some of the industry's top companies have shot content at our spaces including NBC, Disney, Paramount, Fox, NY Times and others. Some of the world's most well-known celebrities have also visited us for their latest projects including Paris Hilton, Nikki Minaj, Melissa Mccarthy, The Mashing Pumpkings, Korn, Tyra Banks, Snoop Dogg, Steve Aoki, Whiz Khalifa and CeeLo Green, Game, Mario Lopez and many others. We strive to offer a clean, ample facilty to independent producers, filmmakers and photographers at low costs.CML Studios offers very competitive and some of best rates in town with total all-inclusive package deals. Everything you need, from lighting and distro, in package deals or "à la carte". 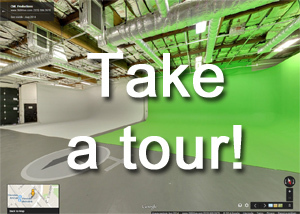 Select an area to explore our facility. CML Productions is a full service, one-stop ad agency specializing in video, photo, web, social media and marketing. Our in-house team of freelance creatives can produce any sort of multimedia content from A-Z from our state-of-the-art production facility. Some of the biggest names in media and entertainment have shot at our studios. Some of the world's most well-known celebrities have shot projects at CML. Some of the things several of our clients have to say about us. Wide range of flats for rent to build sets and backdrops.